On Sunday East 204th Street between Decatur and Hull Avenues was closed for the Annual Bangladeshi Street Festival. 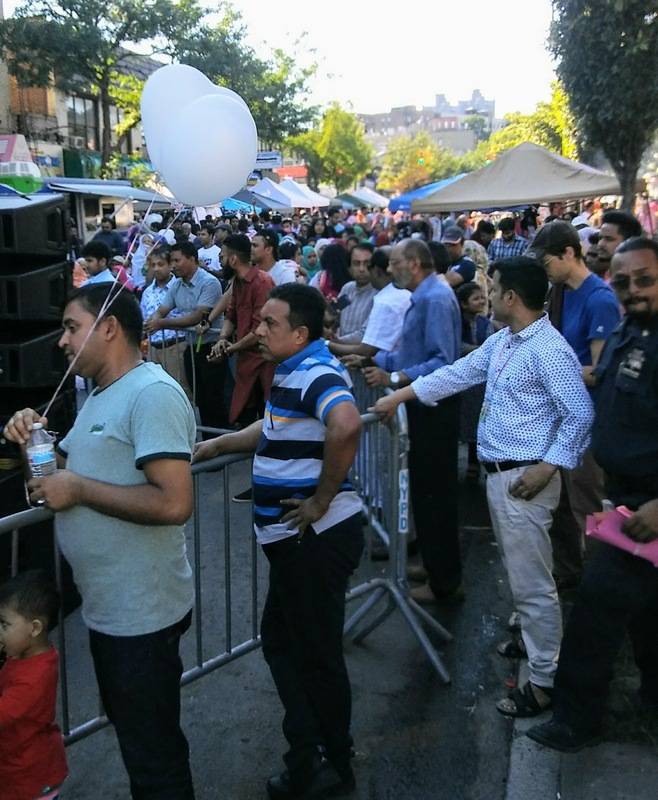 Officers from the 52nd Precinct estimated over 500 people attended the day long street festival. 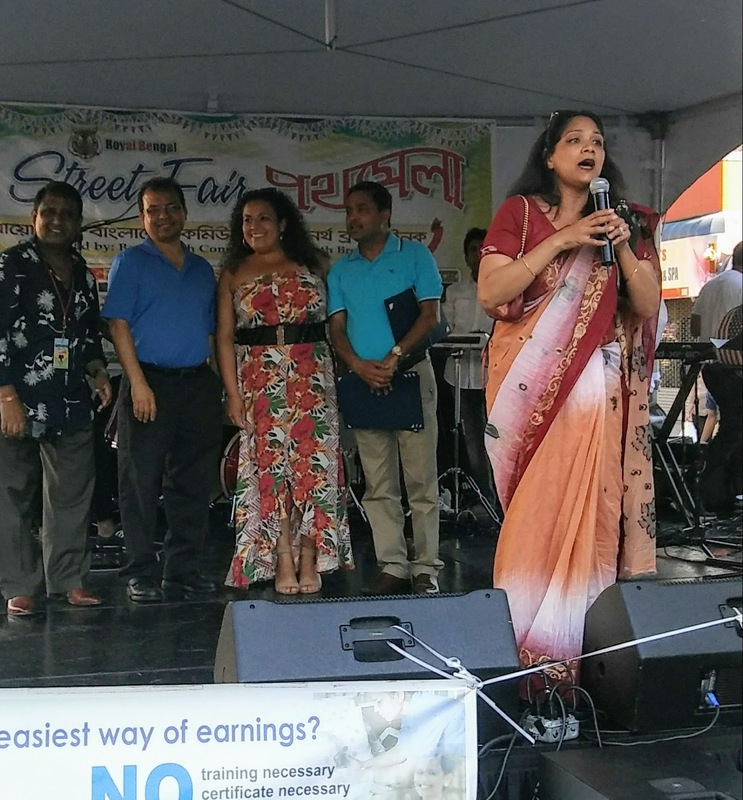 There were booths set up to buy traditional Bangladesh food and clothing, a stage set up for various modern and traditional music, and a visit by Assemblywoman Nathalia Fernandez who handed out citations to several of the people who made the festival possible. 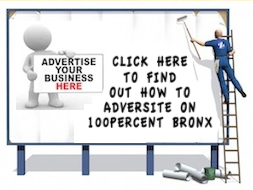 Photos of the event are below. Above - you can see the very crowded street with various booths set up. Below - A traditional Bangladesh performer. 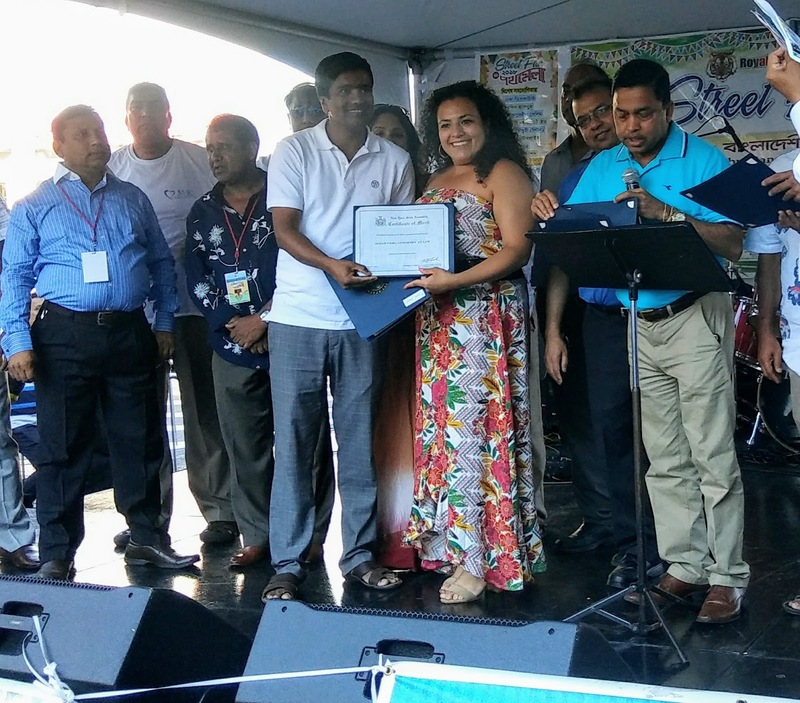 Above and Below - Just a few of the awards given out by Assemblywoman Fernandez. 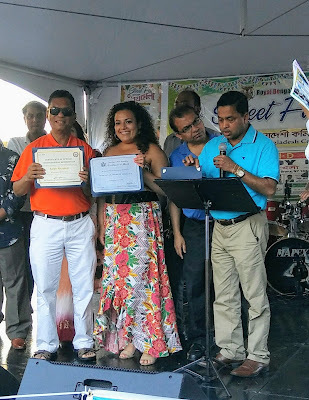 Mr. Mohammed Mujumder introduced the honorees. 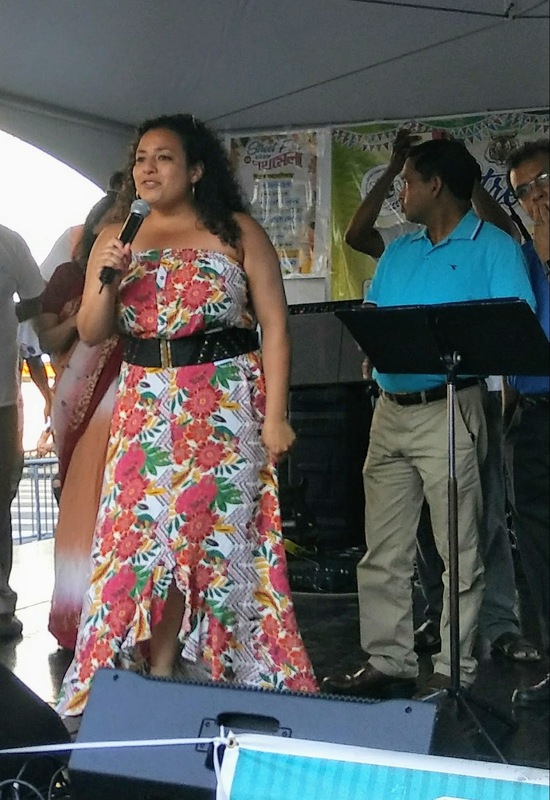 A colorful (and properly dressed for the event) Assemblywoman Nathalia Fernandez addresses the huge audience at the East 204th Street festival.